The programme is a type of Wi-Fi network scanner application that has been created by MetaGeek. The programme is ideal for small companies who want to make sure that the information shared by their employees via email and the net remains safe and secure at all times. What Features Does InSSIDer Offer? One of the most popular features of the programmes is gathering information from various software applications and a wireless card and software. It also helps users to select the best available wireless channel available and provides a wide range of different types of Wi-Fi network information. What are the System Requirements of InSSIDer? The programme has been created especially for Windows and runs with Vista as well as Windows 7, 8, 10. 2GB of RAM is needed to run the programme smoothly, while users need an internet connection in order to complete the registration process. While users who want to use the programme need to pay for it, it is possible to receive free access to all of the features for seven day. This should provide users with enough time to determine whether or not the programme meets their needs, while a 30-day money back guarantee is offered at the time of purchase. How Many Machines Can I Run InSSIDer On? Up to five different machines at a time can benefit from the various features of the programme. This makes the programme ideal for small companies as a number of different project managers will be able to run the programme on their machine. While 802.11ac is fully supported by the programme, it should be noted that 802.11ac only works in the 5GHz band. Users who are running the 5GHz band will be able to use the programme to achieve wider channels and faster speeds than ever before. What Can InSSIDer be Used For? He Office version of the programme is commonly used for choosing the best channel for a particular access point and performing channel planning on a multi-AP network. It is also ideal for avoiding interference as well as measuring channel use and performing coverage checks. How Does InSSIDer Display Information? The programme displays information in three different ways, namely as a networks table, as a details plane and as a networks graph. Users can choose the type of display that they are most comfortable with to receive important network information at a single glance. What is a Hidden InSSIDer Network? 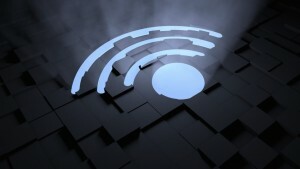 A hidden network is a network that is broadcasting beacon frames in the usual way without supplying a network name. The programme can be used to detect hidden networks and assign a name to them if desired to make them easier to locate. What Do I Do If I Lose My InSSIDer License Key? Users who have lost their license key for any reason should be able to locate it in the product packaging. The packaging that the programme came with may also contain a card where the licence key is stored.